Red hair color is being showcased in media for the spring/summer season. Beautiful red base with hints of auburn with subtle flashes of purple reds, strawberry blondes or even glossed over with the copper red. I LOVE this red hair color collection! Let’s take what you have and spice it up with some balayage or lowlights giving your hair some dimension and interest. Being a hair colorist gives so much satisfaction to change or transform a client’s hair. If you don’t want to permanently change the hair color, we can give you options by utilizing hair extensions to provide length, volume and thickness with as many colors as you would love to add. We can even add balayage or ombre’ colors to give an intensity to the color without the commitment. What’s it going to take to get you to change it up? Why don’t you take a few minutes to come into the salon for a consultation? We already know hair color but it might be great for you to see yourself in some new shades that bring excitement. Your skin color will look better. let’s add a new lips shade by Glo Minerals. We can give you a new haircut that will make your new red hair color sing! 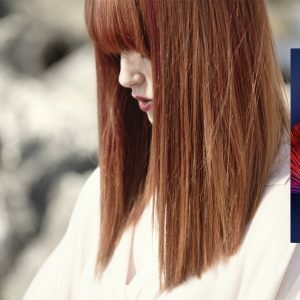 If you don’t want red hair color, then you might want to read another blog post because this one is all about red hair color. Take a look at the picture to the right. This is an example of a client that wanted brighter copper red with some cooler tones. Hair extensions were used to give length plus tonal change. 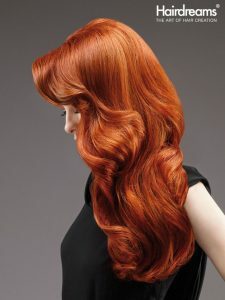 These red hair extensions last about 4 – 5 months with the correct hair care management. No matter if you want Terra Cotta hair color, Auburn red hair color, chestnut brown with red highlights, strawberry red hair color, we can make it happen. If you choose to rock out the hair with rainbow red mixed with pink, we can do it! Time that is needed to remove old pigment is needed when you come in with old box color or from “another” salon. I found that removing the old color will give a better foundation for the new tones that we will be putting in your hair. We have this really cool color pigment remover that only removes the artificial pigment but doesn’t affect the natural hair color. I get the client that says, “I’ve been here for 5 hours….” I respond with, “yes, you have but that is what it takes when we remove color, shampoo, the we have to condition it with the correct protein enriched color or filling the color with the missing pigment.” So when you are in the salon that long, know that good things take lots of time and lots of knowledge to get you the result that you are looking for. I coach my team that we never rush the progress. You as a client need to prepare with expectations. No rushing, no pressure on the stylists because we may be working with other clients while you are processing but it doesn’t mean you are any less important. Clearly, we have a difficult job to do. Our relationships with our clients are very important. This is why we let you know what we are doing every step of the way. We may have an assistant cleanse a few times, or another stylist may be applying color in certain areas. We do what it takes to care for your hair. How do I make my red hair stay longer? Unfortunately, red hair color is tough to keep in according to the FDA. The red dye is regulated in the United States. Mostly RED DYE #7 is questionable. The United States has gotten more creative with their dyes. There are only so many dyes that are used in hair color especially red hair color dye. Over the years with advanced private training under my belt, I’ve learned that no matter which color is used in the red hair color zone, you will need to visit the salon within 2 – 3 weeks from the initial hair color application. Then we keep submitting the red glossy tones to keep the pigment in the hair. All I can say is that it’s totally worth the effort in the beginning for a long term result. We have some color pigments that will stay what seems like FOREVER! Then when you want to try something new it won’t leave like a bad boyfriend. We do everything we can to remove the old red pigment so be 100% sure that you want red hair color because we will make it happen for you. What if I get tired of my red hair color? Good question. As I said in the previous comments be sure of which red hair color that you want. What if you decided that red is not for you? Whether it’s box color, salon color, it can be removed with a product that actually will lighten the pigment out of the hair. Depending on the health of the hair, this process may take multiple appointments. Red color that is lightening can get stuck in the orange stage which isn’t pretty. If this happens, we have to change the color to deposit to either enhance or neutralize the color for the time being. As the hair starts lightening, the hair will go through layers of lightening like red orange, orange, yellow and depending on how light you want the hair it may decide to not lighten anymore than it can withstand. We will only lighten as long as the hair will keep it’s integrity. Best products to use on red hair color. So many to choose from to home maintenance products. the cool thing is that their are red hair color shampoo’s, conditioners and leave in treatments. when you find the perfect red that makes it easier to choose from. We recommend using a red color conditioner so that you can manage the red tones that suit you personally. k about our color conditioner mixed specifically for your hair color needs. Use 2 – 3x per week for best results. Call 717.84.4424 for an appointment. Please bring photos of what you like or don’t like. On April 8, 2019, Indulge Salon, York, Pa acquired this modern industrialized salon formerly, The Salon at Stonebridge in New Freedom, Pa, now Indulge Salon – Stonebridge. We are proud and honored to manage this location so that we can bring the hair coloring traditions and methodologies of Indulge Salon to the clients in the area of Stewartstown, New Freedom, Shrewsbury and the Maryland area. This area has been growing rapidly since 2007. We have an opportunity to showcase our product Indulge Pure Originals for our body butter bars, vegan and organic soaps, bath salts. Click here for more information on Indulge Pure Originals. 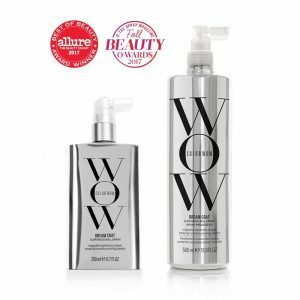 Our featured hair products are Color WOW that gives shine, support to beautiful hair color. Of course Wella for our hair color and balayage. Would you travel 5 hours to meet a celebrity stylist? My team at Indulge Salon, York, Pa did on March 31st. We gathered our overnight things, packed them into the car, gave family hugs and kisses and off we went. Some of our team couldn’t travel due to babysitters but they were with us in spirit. On April 1, 2019, we had been sitting in the conference room waiting anxiously to see my new crush celebrity stylist, Chris Appleton. My sisters love Kim Kardashian and her family. My daughter loves to watch the Kardashian’s and when I tell you that this conference room held many Kim Kardashian wannabe’s. I was one of them. They looked like her, their makeup looked like her and these women stopped at nothing with clothing to look like her. It was a miracle to see. I did share this video of me waiting at the Hilton Hotel in Melville New York. Go to FB: Indulgecolorsalon go ahead like the page. Our team had a huge opportunity to meet celebrity stylist Chris Appleton originally from London, England, He started out doing his mother’s hair since he was eight years old. One of his favorite memories of his childhood was after he was finished styling his mother’s hair she would sit up higher and love herself in that moment. This is what he remembered. He went on to look for mentors and to accelerate his craft. Year after year he would work for free, he would assist others until one day a friend of his said J Lo needs a stylist. From that point on it was history. As a celebrity stylist you get crazy questions coming from event crowds like the one we were in Long Island, New York. One of the 500 attendees either a salon owner or stylist had asked a question that was super personal to the celebrity stylist. He responded shocked but kept it together because he admitted he has never been asked the question before. He collected himself by answering questions that pertained to “how he got where he is”. 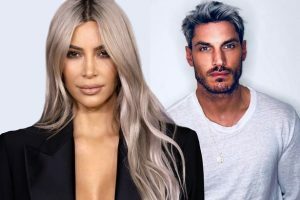 He did nothing but make people feel comfortable and answered eloquently that he worked hard and that the assistant that he has to hire to help him prepare for a shoot, hair extensions he has to pay for clients is on him, then he has to be able to communicate what the celebrity wants to make the session 100% success. In the above photo, celebrity stylist, Chris created the wet look on dryer hair. Even as stylists we assume that we will do this type of look on wet hair but alas it’s dry hair. He shared that doing a look like this on wet hair makes it to heavy. You can’t be afraid to try new looks. The whole creation of the makeup, the feeling that you are striving for then helps create the look of hair whether red carpet ready or just going for dinner or doing a speaking event. You have to spend time thinking about what you want before you actually do it. Cover photos need preparation from celebrity stylists. Between the model, the assistant, the location, the environment that the work is done in, lots of time preparing is essential for a good shoot. I was pretty enamored with his approach to ponytails. He talked about how the comfort of the client with a high ponytail was pretty essential when the hair is flinging around on stage. I thought good point. He showed us what he uses and how he does it on 4 models for the Glass look, the sportster, the ponytail and lastly the muscled up look. Check out instagram: Indulge_Salon_York_Pa to see the most current pictures of his work. We sat up front being glued to what he was saying. No matter where you go, others have opinions about your work, about you, about the environment and will minimize what it took to get you where you are today. I can tell you that the amount of money you make is in direct proportion to the value that you give others. This celebrity stylist gives of himself every time a client sits in his chair. I loved his passion for what he does. He cares and it’s not just a job but a career. He has won awards for his amazing hair extension work. He has worked with J Low with 60′ hair extensions. If you get a chance watch the video I ran live at the event. You will appreciate what you are looking at. Some of his favorite products that he uses are from WOW and Australian company. I met the CEO Gail. She was a dynamite person to watch on stage. she is up and coming. Here is what the chemist has to say about Dream Coat? I can personally vouch for the results that Dr. Joe Cincotta say we experience. I couldn’t believe it the first time I used it. You feel like you want to keep it a secret. Now the secret is out and the company has backordered most of the products we ordered except this one. You can prepay for your dream coat today by calling 717.846.4424. 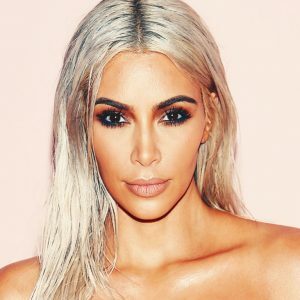 My hair doesn’t have the dry crispy feeling any longer from broken off hair, my hair is growing like a weed, plus as the celebrity stylist describes the beauty of out grown hair. Just fill out the form below to get $25 OFF your first Balayage treatment from Indulge Salon.